While kids and parents are scrambling for school supplies, lunch boxes and backpacks, I am scrambling to get my students organized for learning vocabulary this year. I start preparing my students over the summer break. They learn low tech vocabulary strategies with index cards. The word on the front and definition on the back. A visual cue on the front to promote memory and other ideas from my bag of tricks to enhance retrieval. Next, we go high tech with an online vocabulary storage, like Quizlet or Study Stack. Why go high tech? Kids never lose their vocabulary cards and words this way. They are stored permanently in their account until they delete them. Words learned in September are stored online for review in January when they have midterms. Pictures can be added for each word and the cards can be printed out. Teachers can share word lists with their students and students can create groups with other students in their class to collaborate. 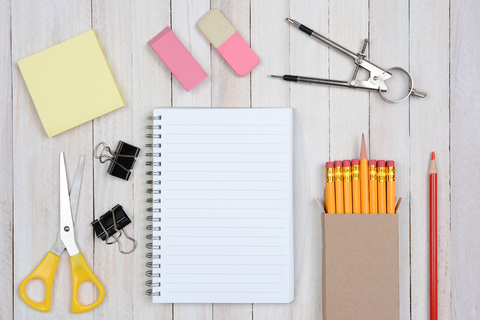 By starting early, we ensure students are starting off the school year with effective strategies tailored for their learning style and preferences rather than on the fly when students are stressed. 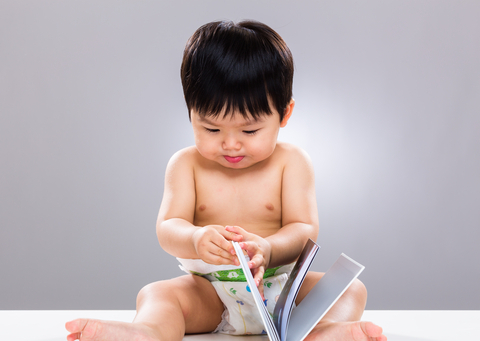 There is no such thing as starting too early on your child's vocabulary skills. Twenty years ago two researchers, Betty Hart and Todd Risley "The Early Catastrophe" study showed that some three year old children heard 30 million less words than others. 30 million - wow! This has been called the "thirty million words project" or "word gap." Parents can help their young children (infants and toddlers) stay ahead of the game. Start reading early. I read to my children by 5 months of age. They sat in my lap and helped me turn the pages of the board book. As they grew older, we graduated to different levels of books. We read signs as we walked around town and passed them on the highway. Talk about what you are doing. If you are making cookies or building a birdhouse, talk about what what you are using and doing. They will hear words specific to each activity and add to their vocabulary with each interaction. Make up Stories. Use your imagination creating a variety of stories. They'll start to notice stories have a beginning, a middle and an end. Eventually, they will notice each story has a problem and a solution. They'll hear words specific to each story setting. Experience the world. Go on field trips to the zoo, aquarium, grocery store, library, and park. Talk about what you see and do. Each interaction builds your child's vocabulary and gives them a leg up on language and don't widen the "word gap." If your child doesn't recognize letters by age 2 or 3 years of age this could be an early sign of reading and/or language difficulties. Most children recognize letters and the sounds they make by age 4 or 5. If you suspect a language problem, contact your local school for information on how to get your child's speech and language tested. You can also go to the American Speech Language Hearing Association's website to find a speech language pathologist near you. Early intervention is the key to closing the gap. What therapy tools could I not live without? My iPad is one, but even more basic than that is paper and colored pencils. A student walks in my office having difficulty with vocabulary, reading comprehension or understanding a concept from one of their classes and I roll over (literally, in my chair) to the colored pencils and snag a piece of white copy paper from the printer...and off we go. I am a terrible artist, but if I can't draw it you can bet my student can. We laugh about how bad I am at drawing, but even the horrible scribble I draw sticks with them - because it's so absurd they remember. If it's a vocabulary word, we are drawing pictures on their flash cards. If it's a lesson concept, we are drawing more expansive representations to solidify the concepts. If it's a story, I am mapping out the story on paper and "drawing" attention to underlying meaning in the story. We break down the "big picture" or "gestalt" into smaller pieces so they can see how the parts relate to the whole story. Why does this work? iCare4Autism published an article, Enhancing Reading Comprehension through Intensive Training last month. They highlight research by the University of Alabama researchers who studied 31 children with autism. These children were average readers, but had low comprehension skills. They used visual aids to help the children broaden their knowledge of vocabulary words and recorded neurological changes using MRIs. "By the end of the study, it was evident that children that participated in the intensive training had stronger connectivity within the language network." I've known using visual aids and drawing pictures with colored pencils and markers improves my students' understanding of words and broadens their meanings. The study acknowledge the usefulness of visual aids with images of the brain. 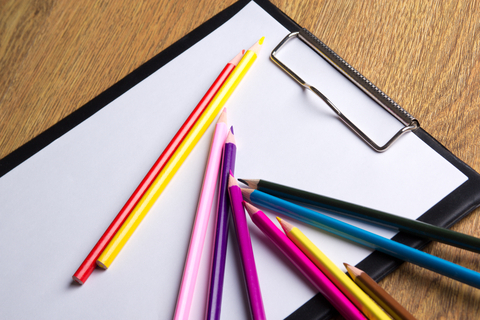 So add some color to your treatment sessions and break out the colored pencils. Our vocabulary apps, InferCabulary and WordQuations, use beautiful photographs and video, because students benefit from visuals in a variety of forms.